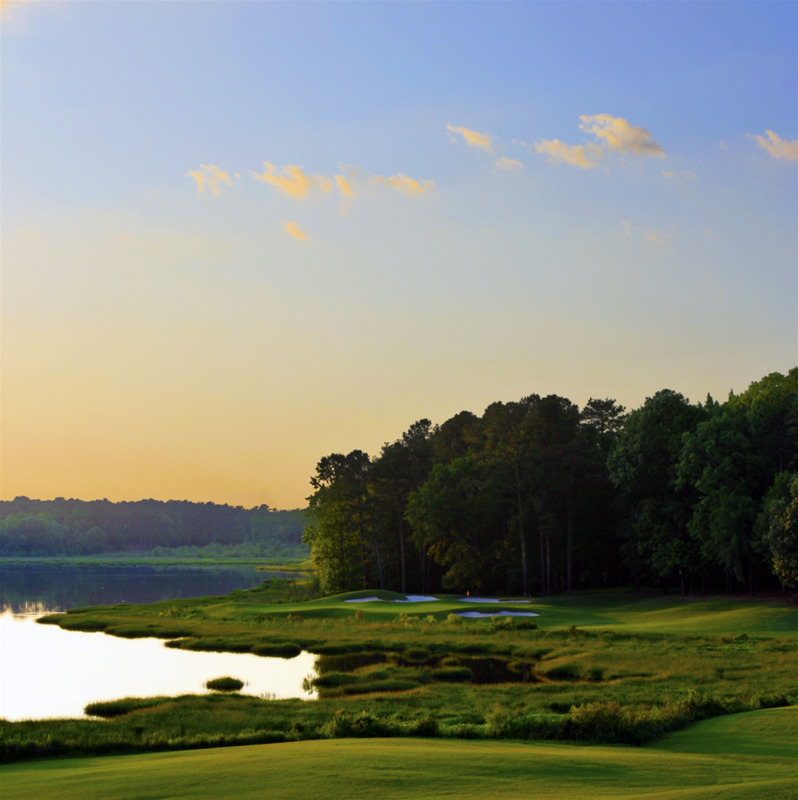 Grand National, a Robert Trent Jones course is built on 600-acre Lake Saugahatchee with 32 of the 54 holes along its shores. Three courses are available at Grand National, The Lake Course, Links Course, and Short Course, all of which are 18-holes. The Links and Lake course were in the top 10 of Golf Digests list of “America’s Top 50 Affordable Courses,” and all three courses are listed on Golf Digests “Places to Play” among the nation’s 40 Super Value courses. Grand National has hosted the Barbasol Championship as well as a multitude of tournaments on its various courses. Suitable for all levels of golfers, this course and its amenities offer a great day of golf for anyone. The venue includes various dining options and a pro-shop as well. Golf Digest rated the Links Course as 2nd and the Lake Course as 4th "Best New Public Course" in 1993. They also rated the Links and Lake course in the top 10 of “America’s Top 50 Affordable Courses,” and has listed all three courses on their "Places to Play" list. Grand National has been the host site for such notable events as the 1997 Nike Tour Championship, 1998 LPGA Tournament of Champions, the 2000 NCAA Men's Division I Golf Championship, and the Barbasol Championship. Nestled in 2000 acres along the award-winning Robert Trent Jones Golf Trail, the Marriott Resort and Spa at Grand National embraces nature at its finest.